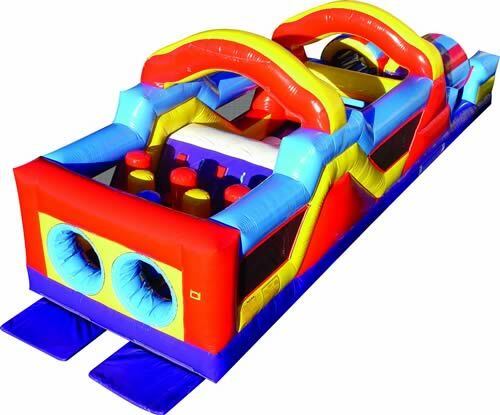 Monster Obstacle Course Inflatable Bounce Rental - kiddo kingdom : Inflatable Fun, Parties and Rentals! Massive 33' Course, fun for Juniors, Teens and Adults! 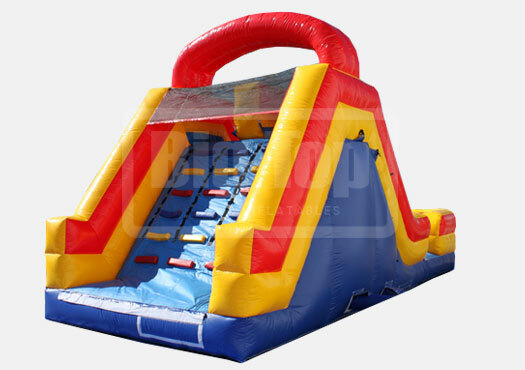 The Monster Obstacle Course is the coolest in our line of inflatable rentals, and is sure to benefit any Party or Event. 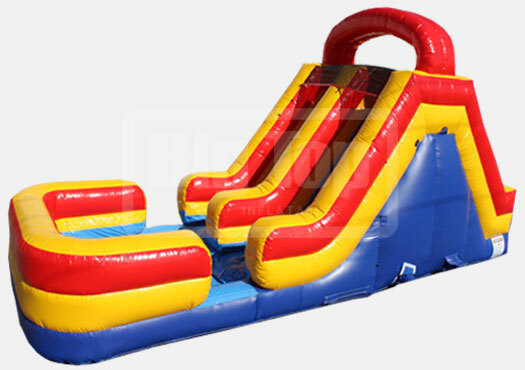 This oversized inflatable play structure has a bright and colorful theme of yellow, red and blue, that demands interaction of anyone near by. The Monster Obstacle Course is set up for friendly competition play, with dual entrances and exits. This impressive structure measures over 12 feet tall at the arch, and features mesh sides for easy viewing from beginning to end. FREE set up and delivery^ with this rental. All prices must add Sales Tax. 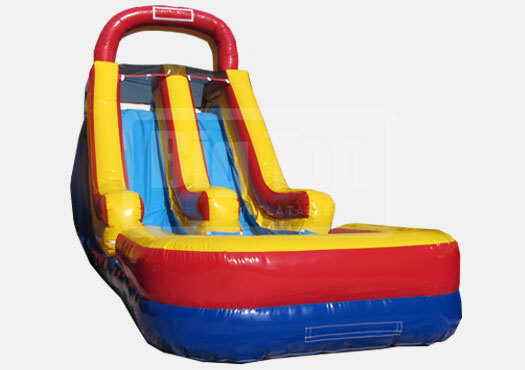 Add the Optional 18 feet Double Lane "Master Blaster" Water Slide with Pool! No, not this time. Yes! (+$249) Not this, but possibly other rentals. Yes (+249), and also interested in other rentals. 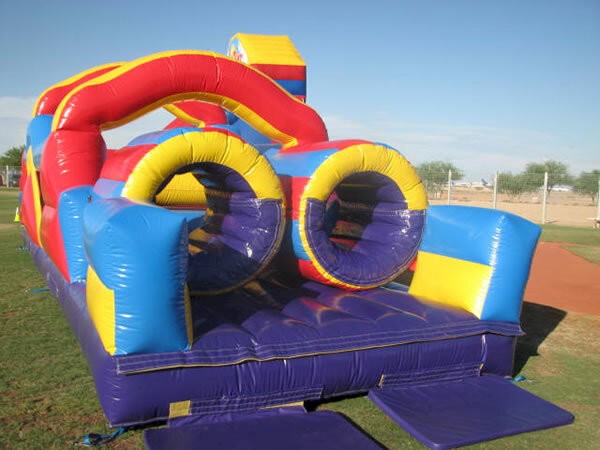 Submit no obligation RSVP for Monster Obstacle Course now!